In countryside houses we do our best to create the best conditions for full-fledged outdoor rest. But for our cars a trip to the countryside might be challenging. That is why to be sure about a safe trip back to the city, we should take care about a nice “house” for our iron horse – a good garage. 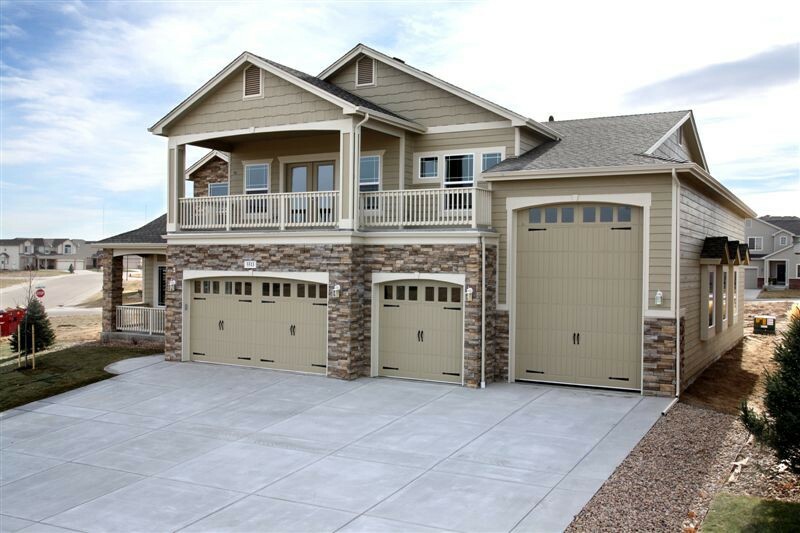 There are three main types of garage designs: attached, detached and with living quarters. In this article we’ll discuss the last type, its advantages, drawbacks and important aspects to consider before choosing this very design. 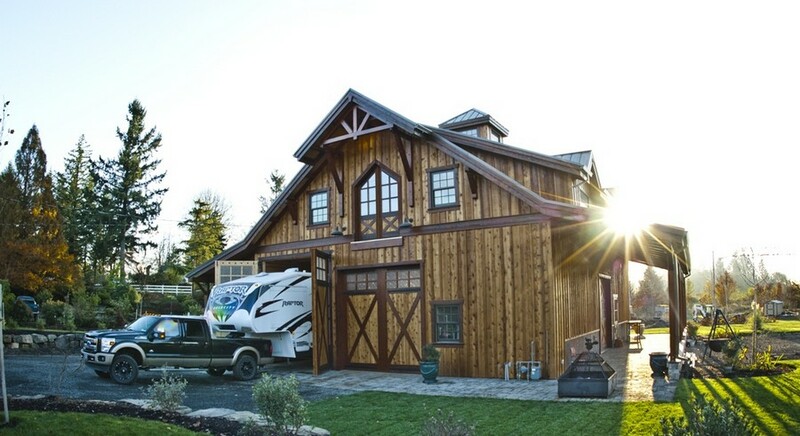 A garage with living quarters is a parking space located right on the main floor of the house, next to living quarters. It shouldn’t be confused with attached types of garages, when a car is parked in an attachment to the side of a home. 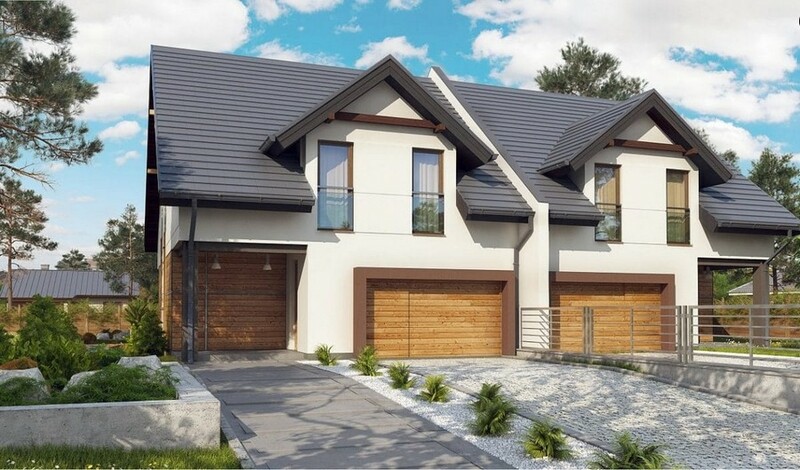 The key advantage of having a parking space with living quarters is that it excludes the need of increasing the total building area of the land plot. 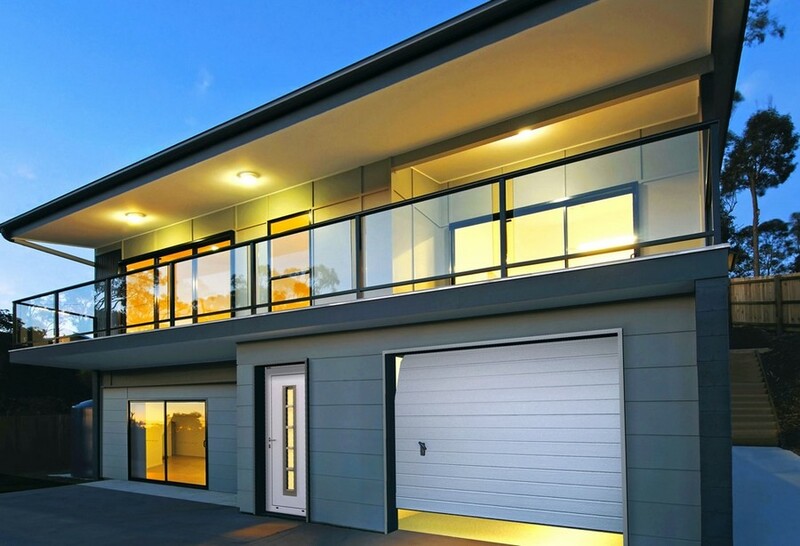 Hence this garage type is of special interest to the owners of small territories. But building a garage inside the house inevitably entails loss of living space. So here it’s up to you to decide, what’s more important for you – residential area or your outdoor territory. By the way, the latter can be saved by garages with living quarters because this way you are economizing on access roads – most of home owners have a wide and flat road leading to the porch anyway. One more obvious plus of a garage as a part of the house is an easy access to it from home – you don’t have to worry about weather conditions and air temperature before getting into your car. And finally, arranging the heating, water supply, electricity and sewage is far simpler, when it comes to built-in garages as compared to detached designs. Despite all the bonuses a garage with living quarters offers, it has a few drawbacks. 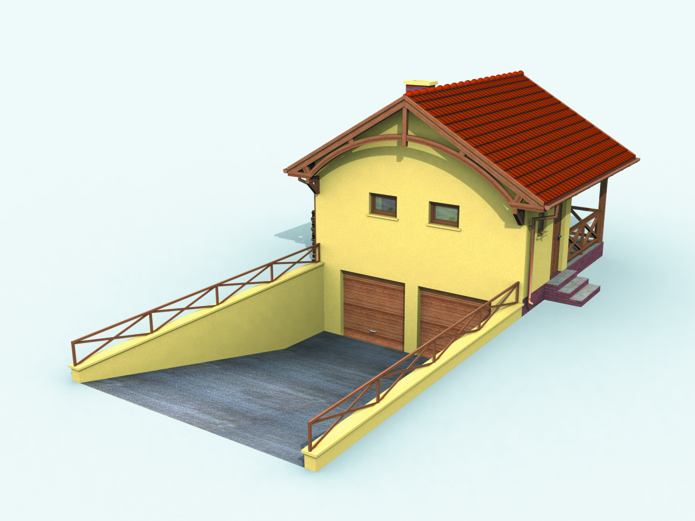 And the most vital among them is that you need to project a garage simultaneously with preparing your house design. Failing this, having a garage built into a ready built house will entail financial and engineering problems. One more potential difficulty is meeting all the safety requirements and high-quality insulation of a garage room from the residential area. Walls between them must be reinforced, as both the car and liquids and oils kept in the garage are regarded as potentially explosive objects. Also, when the engine is running in a closed garage, it may lead to accumulation of exhaust air, which must neither penetrate into the living quarters, not stagnate inside the garage. A garage with living quarters may be arranged either at ground level or on the basement floor. The latter option obliges you to consider a well-though-out drainage system and interception of moisture on the passage. The thing is that insufficient waterproofing will make rainfall flow down, which may cause accumulation of ice on the ramp in wintertime. All these problems can be solved by means of high-quality waterproofing, installation of a ramp heater and organization of a good drainage system. For example, a good option to consider is a deep buried storage tank for water storage with an option of periodical pumping. Also when it comes to building a garage, you should consider the aspect of safekeeping of your iron horse. Thus, a temperature comfortable for residential areas, can be harmful for vehicles. In the wintertime a car getting into a warm garage from the cold environment may accumulate condensed water under the hood, which has negative impact on lifetime and utilitarian characteristics of a vehicle. In temperate climates it’s worth opting for good insulation, rather than heating of a garage room.